Designed diligently, The BeSpoke Dudes eyewear collection made in Italy is geared towards the well tailored man who sees well designed spectacles as a functional contribution to their personal style. My first interaction with the Bespoke Dudes craftsmanship took place at a bespoke suiting shop in the heart of the West Village in New York City. I was working with the owner of the shop, Jake Mueser two years ago on styling a look book when he suggested I try out a few of the styles he carried in the store. As soon as I put on the Shetland Honey, a style so contemporary in its craftsmanship, I was forced to do some research. You know why? Because they emphasized the subtle well heeled quality I like to possess when I present myself in a way that aligned with my somewhat traditionalist sense of style. Launched in 2015, the BeSpoke Dudes, originally a blog founded on mastery, and custom tailoring by Fabio Attanasio was brought to life in partnership with leading entrepreneur, Andrea Vigano. Together, their vision underlined a common goal to showcase Italy’s diversification in product artistry. Following its launch, the brand has been able to garner a following of more than 66,000 people online, and a standard holding in luxury establishments all over the world like Harvey Nichols, J. Mueser, 10 Corso Como Milano, Shinsegae, and Lodenfrey. Quite outstanding for what most would consider a very young brand, and it’s easy to see why. With price offerings comparable to other leading eyewear makers like Ray Ban, and Oliver Peoples, a few qualities I can vouch for about The Bespoke Dudes Eyewear is its lightweight feature, and how well it accommodates tailored wear in an aesthetically clean way. The brand has been able to deliver a contained collection of creative, and solid eyewear catching every genre from more traditional pieces to contemporary designs. They're carefully handmade, and intentionally don’t follow standard eyewear trends. Both Vigano, and Attanasio have prioritized the production of a simple fashionable piece in conjunction with easy accessibility to its consumers, and ambassadors. Surely, a strong piece has been secured here hence the reason it has been able to assemble effortless support from some of the world’s most debonair influencers ranging from working models, to prominent entrepreneurs. I have written about it before, and will write about it again. Wearing eyewear is a simple way to elevate any outfit - no matter how formal, or how casual. 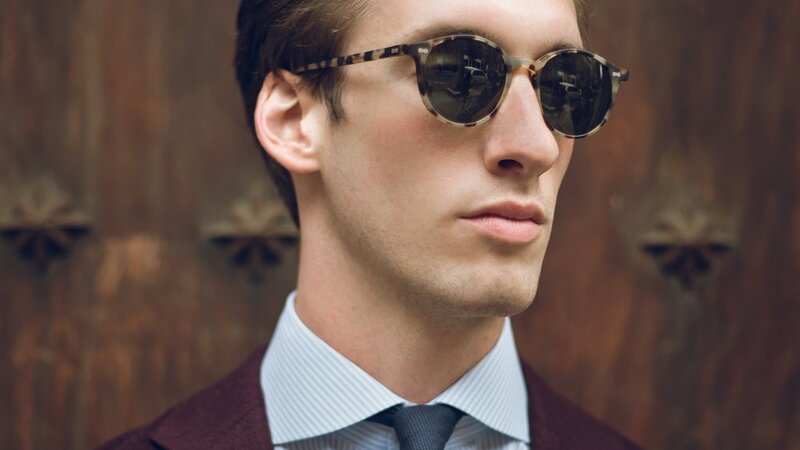 The BeSpoke Dudes Eyewear is an appreciable place to start for self assured style. See more of the brand, here.